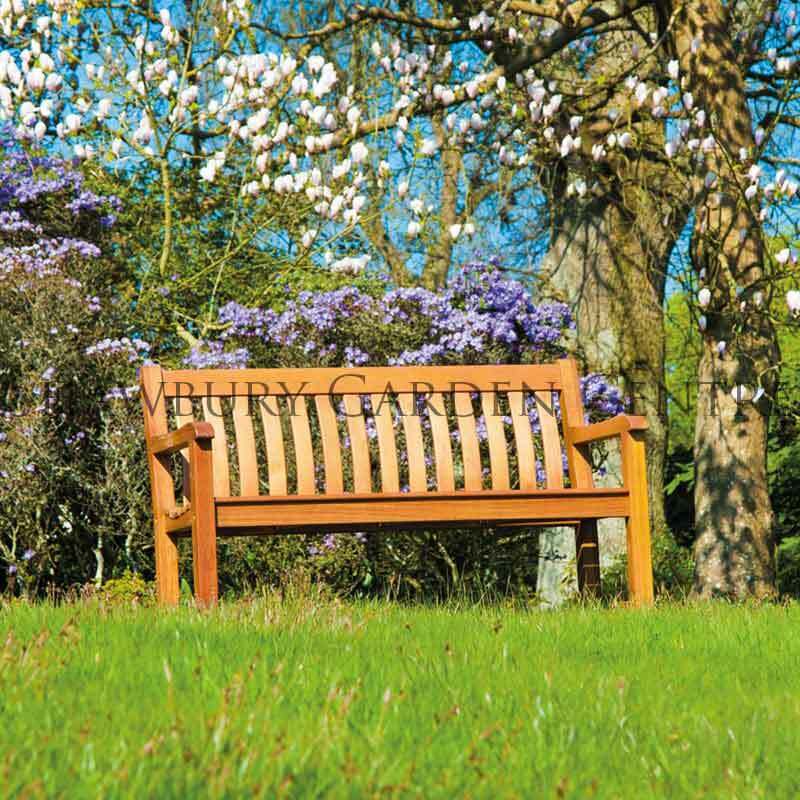 A beautiful hardwood garden bench designed to seat 2 people in comfort. 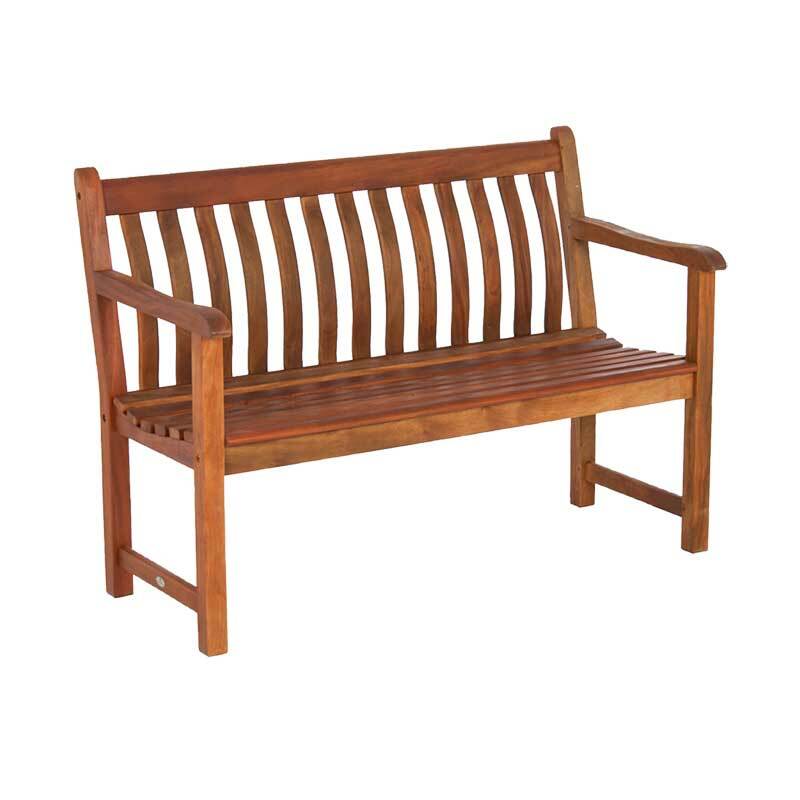 The St George bench has similar styling to the Broadfield bench, but with slightly chunkier legs and arms to give a more solid presence in the garden. 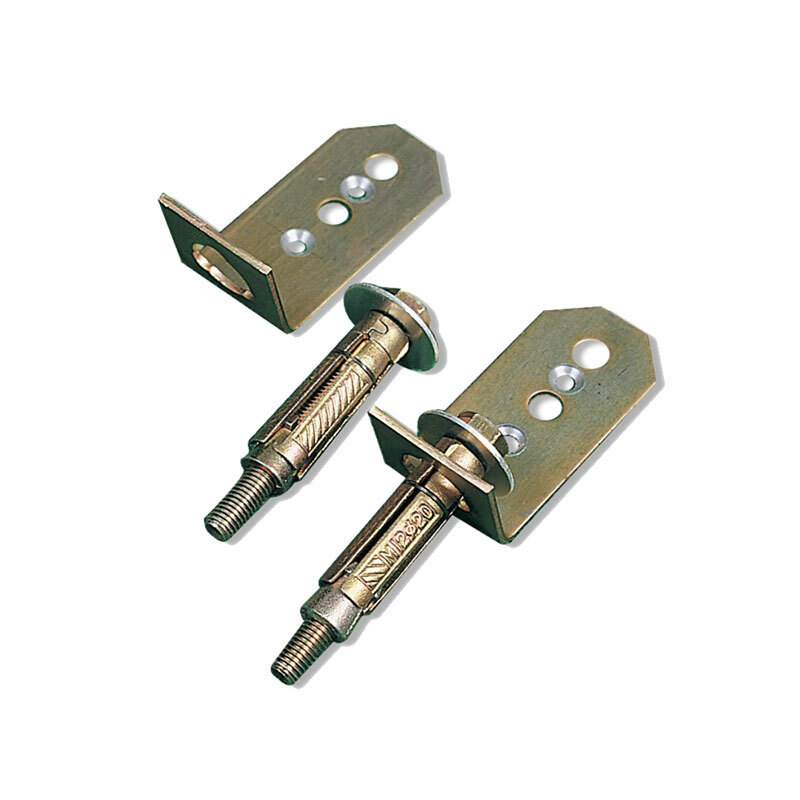 The seat base is dished and the back curved to provide comfort and support in the right places. This makes the St George bench very pleasant to sit on. 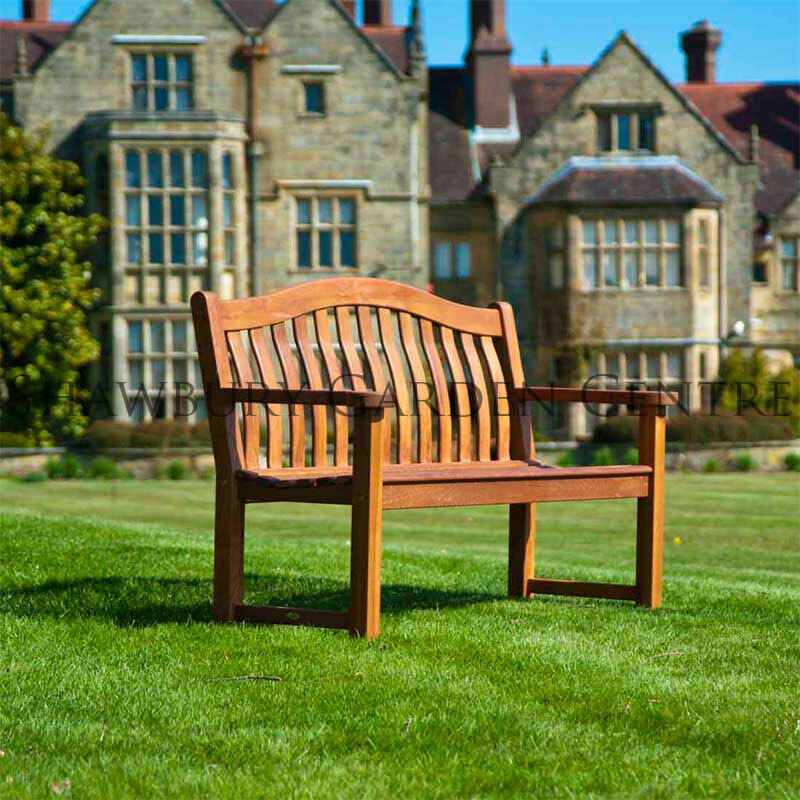 This version of the St George bench is made from Cornis (Eucalyptus tereticornis) - a dense, closed grained hardwood, with an expected durability of 10 years plus. Although the wood can be allowed to turn silver the colour can be mantained by applying Cornis Oil on a regular basis. 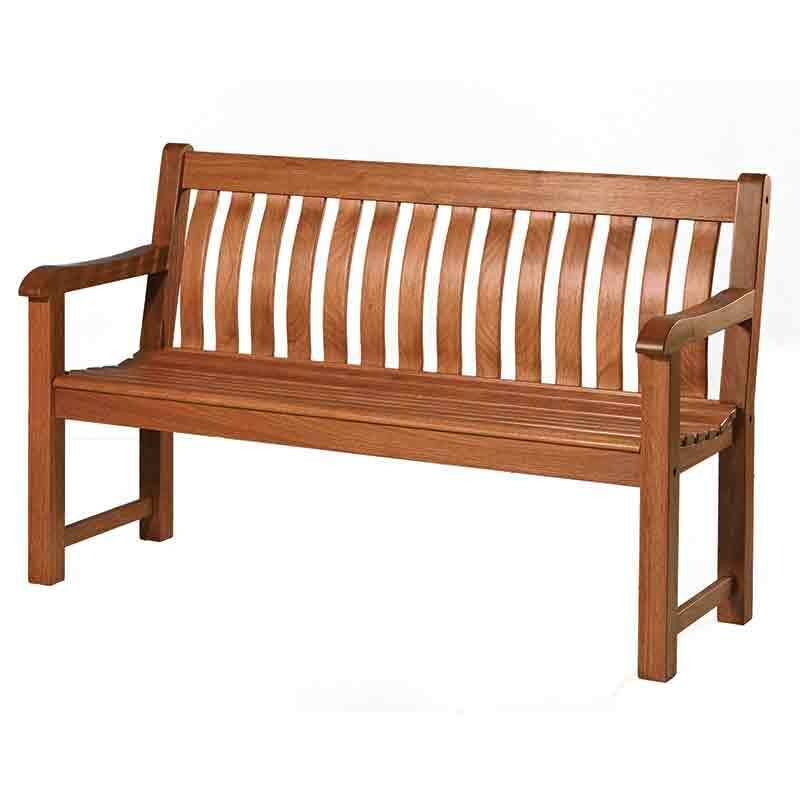 This also has the added benefit of helping to increase the benches lifespan. 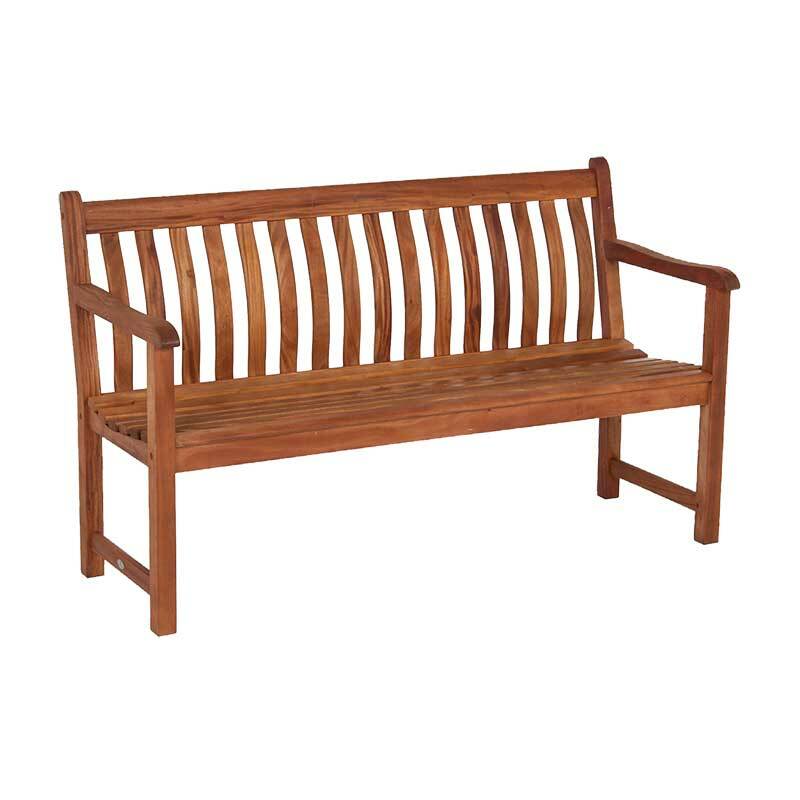 If you would like further information about Alexander Rose Cornis St George Garden Bench, please contact our garden centre at Shawbury just outside Shrewsbury in Shropshire, by calling 01939 251315 or emailing.